The swap shop is now open regularly between 4-5pm on Mondays, 4.30 and 6pm on Tuesdays and 12-1pm on Fridays. People have already started coming along at those times to browse the clothes, donate clothes and to pick up free bread and cakes (donated by Baynes Bakery). The bread and cakes are unsold surplus from two local branches of Baynes but are still perfectly edible and in fact taste as good as they would if you bought them fresh from the shop. The Tuesday evening session of the swap shop (during the Granton Gardeners Community Meal) continues to be very popular. We still need more volunteers to staff the swap shop on Mondays and Fridays (we already have enough volunteers for the Tuesdays). You will need to help sort clothes, make sure the rails are stocked, weigh donations and the items that people take away and chat to people. If you’re interested, please contact Juliet on 552 3033 or email juliet@grantongoesgreener.org.uk. Many people love watching wildlife and are noticing that bees and some species of birds and butterflies are noticeably less common than they used to be. Scientists are trying to work out the links between climate change and these wildlife declines. You can help them by joining in the Big Butterfly Count! 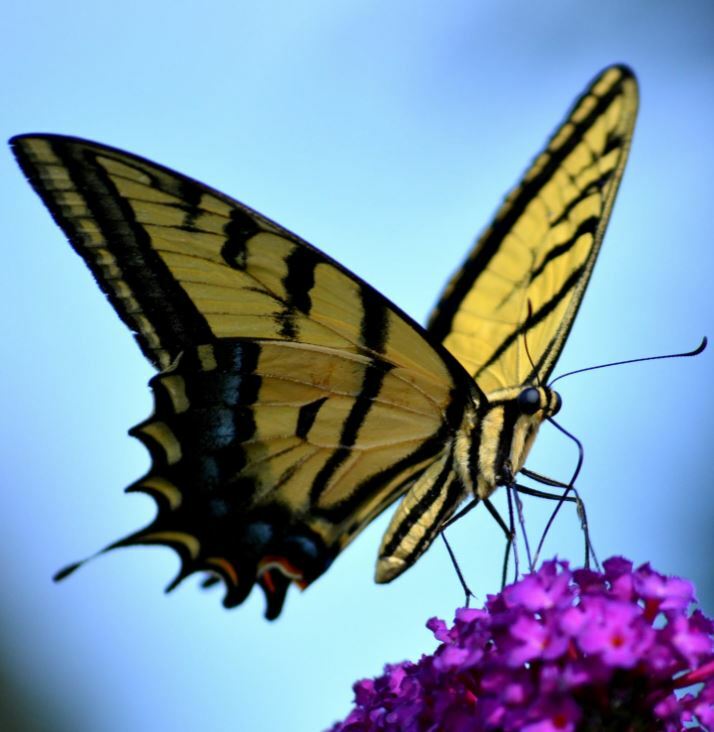 To take part count the butterflies you see during a sunny 15 minute period any time between 20 July and 12 August and record your results on the website (https://bigbutterflycount.org).